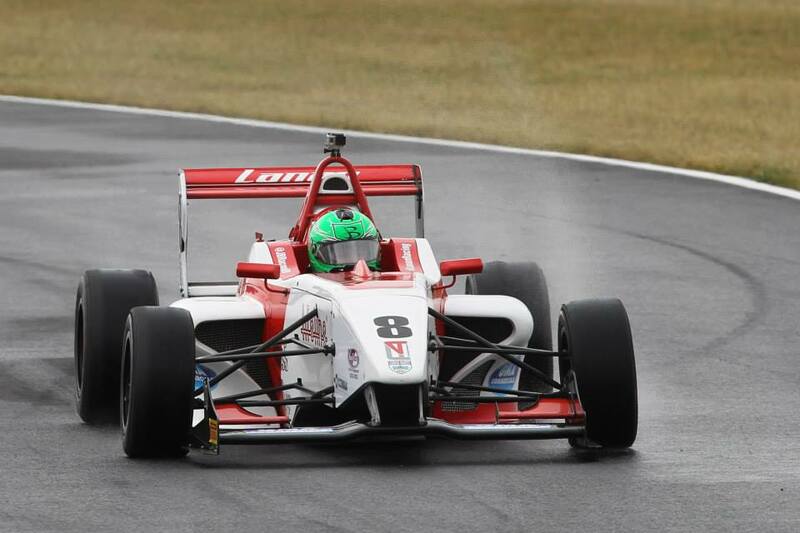 A double podium was the highlight of rounds 10, 11 and 12 of the Duo BRDC Formula 4 championship at Snetterton on 11-12 July. 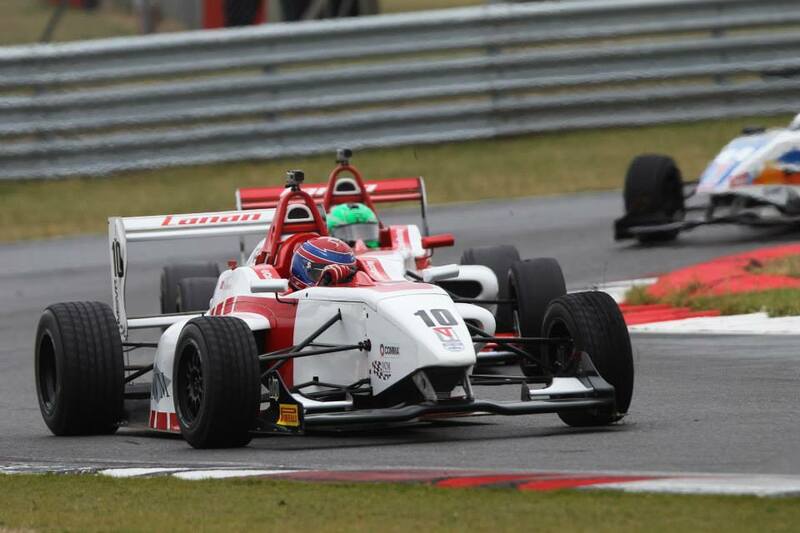 In tricky wet conditions, Rodrigo Fonseca and Jack Bartholomew secured second and third positions in round 11, 16-year-old Bartholomew's maiden podium in single seaters. Fonseca scythed his way into the lead heading into the closing stages, but succumbed to heavy pressure from the slick-shod Tom Jackson on the final lap of the rapidly drying circuit. Bartholomew gambled on slicks and stormed through the field with a stunning drive from 19th on the grid and onto the rostrum. Chris Mealin made it three Lanan Racing drivers inside the top six with a fine drive from 18th on the grid; overheating wet tyres denied him the chance of improving on sixth place. The earlier round 10 went less to plan, with both Mealin and Bartholomew falling foul of early incidents that put them out of the race. Fonseca had more luck, despite early contact, coming home in seventh place before a post-penalty for a rival moved him into the top six and handed him more valuable points. Fonseca was the best-placed finisher in round 12 and the final race of the weekend, climbing 10 places from 17th on the grid to seventh. Bartholomew was again busy, picking through the field from the back row to 11th, while an early spin for Mealin saw him round out the top 10. Bartholomew, 16 from Lewes, Sussex, said: "It was the most frustrating but also exciting weekends I have had, it was a big learning curve. Race one didn't go as we had hoped, but starting 19th in race two we made the choice to go with slicks and had I got past some of the drivers on wets a bit sooner it could have been even better than third place. To achieve my best finish in conditions completely new to me shows how far we've come, especially on the back of such a tough race one. It is a huge confidence boost. Conditions got worse for race three and the spray made life very difficult starting so far back, the focus was then on learning and scoring points, which we did." Mealin, 21 from the Isle of Man, said: "It was another weekend with plenty ups and downs. We certainly had the pace for podiums but we were just unlucky a couple of times. We're now four rounds down with four to go, everything is at stake and anything can happen still. It's now time for a quick recharge of the batteries with the family in Spain and put Snetterton behind us. We'll be back fighting hard at Brands Hatch in three weeks' time!" Fonseca, 19 from Leon, Mexico, said: "We had a difficult qualifying in which we made some mistakes but we started race one very well. At turn three I had contact that made me lose my front wing which made things difficult. We were able to stay at the front for race two and we got to the points in race three, which is important for the championship."" 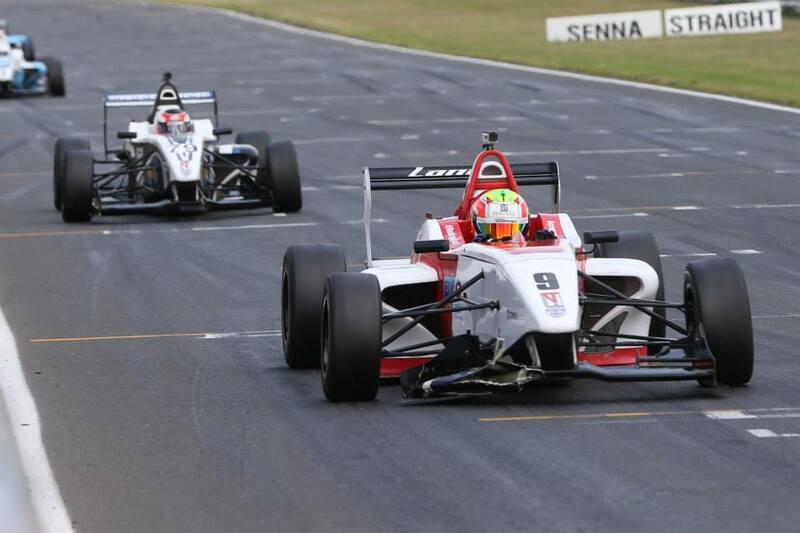 Past the halfway mark of the season, Fonseca remains in second place in the Duo BRDC Formula 4 championship standings, 25 points adrift of the leader. Mealin lies fourth, with Bartholomew eighth heading to Brands Hatch on 1-2 August.